Participants in your non-profit event easily navigate details before, during and after with navigable mobile technology. Your staff can easily manage event details and monitor participants in realtime. We tailor mobile device technology to increase your fundraising goals with interactive software. Your donors help grow your brand in the community for future fundraising efforts. The ability of a non-profit to succeed shouldn’t be limited by the software chosen to build your community. We can tailor your mobile presence to control your non-profit identity. 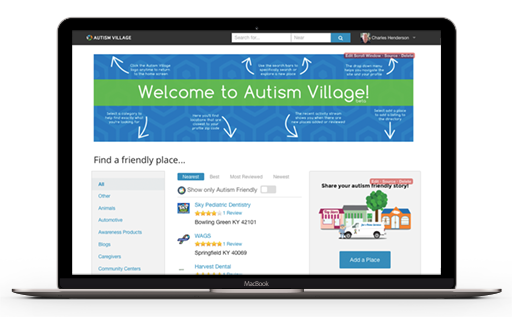 Autism Village required app data integration with their website. Imagine building your own social-collaborative hub with your brand on top, that you control and with features similar to Facebook, LinkedIn, Yahoo Groups and Yammer- then you have Connect. Enterprise-level security, deployable either on-premise or on-demand, totally customizable, and upgradable as supported software. Web and mobile apps are integrated with your social media from a central database which is easily managed. 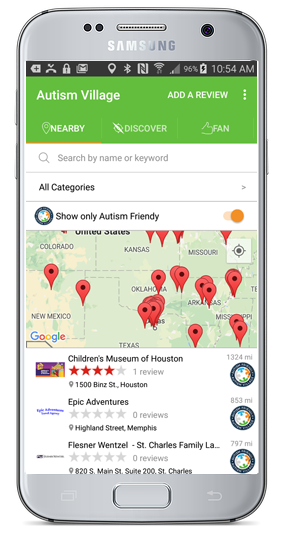 Autism Village wanted a mobile app that utilizes the device GPS to find Autism Friendly Sponsors in close proximity to the audience location. The app data integration is shared with the web browser version providing flexibility to users without smartphone access. Paid sponsor listings are customizable and flagged to stand out from free listings to the app audience. 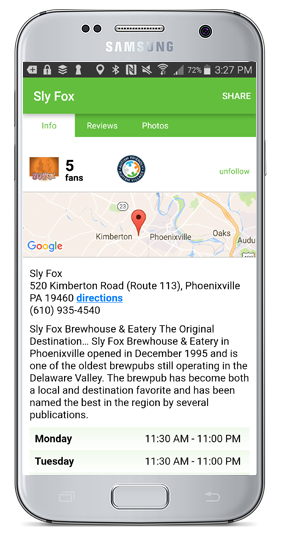 Mobile app users can select information about the business listing. Address with link to map directions as well as a general review and info is displayed. User submitted reviews and photos are easily accessed from tappable links on this screen. 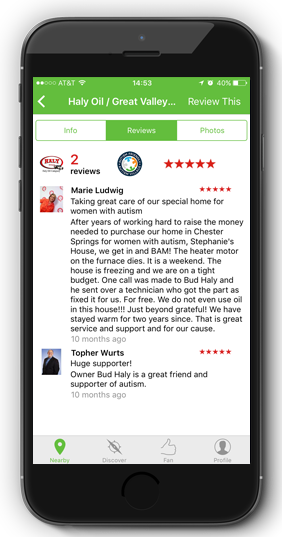 Mobile app users supply reviews which become part of the listing profile. App users can build a basic user profile to share with others in network. 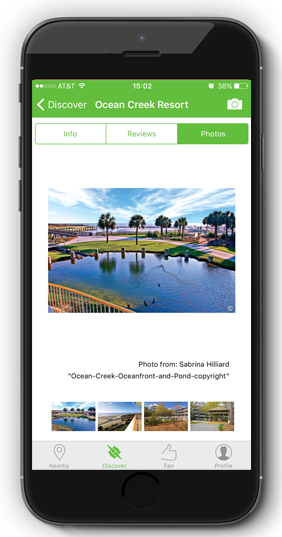 App users can upload photos to a listing profile. This is a great way to show off a business, park, medical service facility, ect. Copyright Content © 2017 Never Ltd.